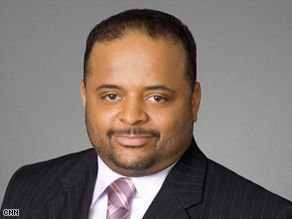 Roland Martin says Howard Dean bucked other leaders and insisted on a 50-state Democratic strategy. (CNN) -- If Sen. Barack Obama is able to prevail over Sen. John McCain on Tuesday, all of those Democrats who ripped Howard Dean's 50-state strategy over the last four years should call the head of the Democratic National Committee and offer a heartfelt apology. First in line should be New York Sen. Charles Schumer, Chicago, Illinois, Rep. Rahm Emanuel and my CNN colleague, political strategist James Carville. When Democrats were in the final stages of winning back Congress in 2006, those three were at odds with Dean, saying he should forget about his pie-in-the-sky plan to have the Democratic Party competitive in all 50 states. They reasoned that money spent on get-out-the vote efforts in non-congressional elections was futile, and all the effort should be on reclaiming Congress. But Dean resisted their suggestions, weathering repeated calls for him to resign after that election. Dean's insistence on having a Democratic Party that existed in the heartland, and not just California, New York and Massachusetts, was brilliant in that it made clear that the party recognized the rest of America. iReport.com: What would you ask Obama? The Democratic Party earned its liberal label because it ignored the moderate and conservative voices that paved the way for the Reagan revolution to win three consecutive elections. Yet the decisive wins weren't just on the national level. Texas is a prime example. What used to be a blue dog Democratic state now has Republicans holding every statewide office. But things are looking up. In Dallas County, all of the county positions except for a handful were in the hands of the GOP, especially the judges. That changed four years ago, and now the party could solidify itself this time around. The same thing in Harris County. The state's most populous county saw Republicans take everything in sight. This time around, Democrats are poised to take back Houston and surrounding cities. Texas Democratic leaders used to cry the blues when an election was near, but after seeing the massive turnout during the primary, they have been able to build their voter database and cultivate a new generation of politicians to run for office. Will the state go red? Sure. But with a rock solid black vote, the ability to attract more Hispanic voters and a growing appeal to whites, Democrats may soon make Texas a competitive two-party state. If Democrats are going to achieve success on the national level, they must have significant enthusiasm on the local level. It's hard to get your supporters ginned up for a national campaign if they see no infrastructure, especially local get-out-the-vote operations. When Obama announced that he was implementing a 50-state strategy, he was laughed at. But here we are with six days left in the campaign and the Republicans are having to spend precious dollars on ads in Montana, North Carolina, Virginia, Missouri, Iowa, Colorado and Nevada, GOP locks in past elections. Obama deserves a lot of the credit for this because his "change" campaign theme, along with the horrible leadership of Republicans nationwide, is helping his candidacy. But changing the attitude among the nation's Democrats was also vital, and that's where Dean played a role. The former governor of Vermont saw firsthand the sorry shape of the party when he ran for president in 2004. Republicans, led by Karl Rove, perfected their voter registration efforts, targeting voters down to the neighborhood, block and household. They knew that to win they needed a well-oiled machine that wasn't activated every four years; it needed to be active all year round and in every election cycle. So Dean put the people and resources behind substantial voter efforts in a number of states, and they went about rebuilding a crippled party that had no central voter registration effort, an outdated database of supporters, a fundraising arm that heavily relied on trial attorneys and Hollywood types, and a message that changed depending on the day. In addition to seeing how Obama performs on Tuesday, we will also watch and see if Democrats are able to increase the number of governorships and legislatures they control. That will be critical in 2010, because that's when the electoral map will be gerrymandered, redrawing the borders of congressional districts, and the party that rules the general assemblies, legislatures and governor's mansions will write the rules to the game. Old pols always said that all politics is local, and the only way for a revitalized Democratic Party to expand its reach nationally is by re-branding the party on the home front. That takes time, money and leadership, and Howard Dean was willing to put his money where his mouth is.